Fiesta Forever! 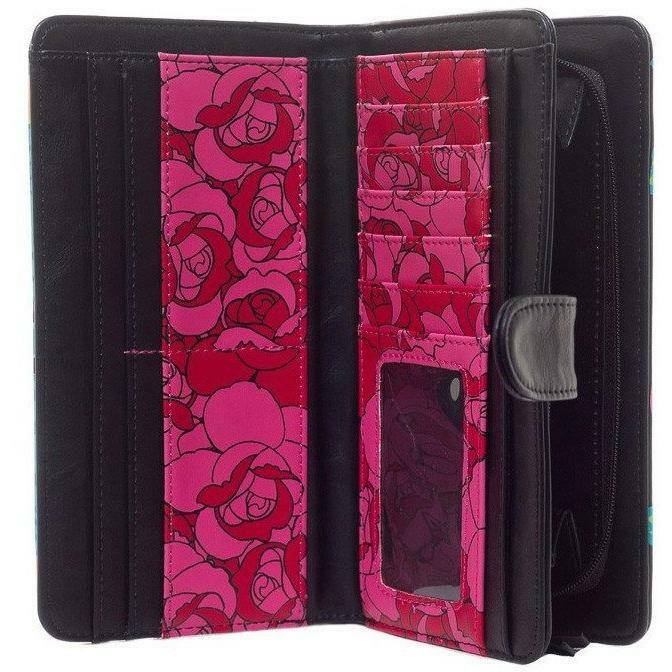 Add some bold colors to your everyday outfit with the bright Sugar Sugar Wallet. 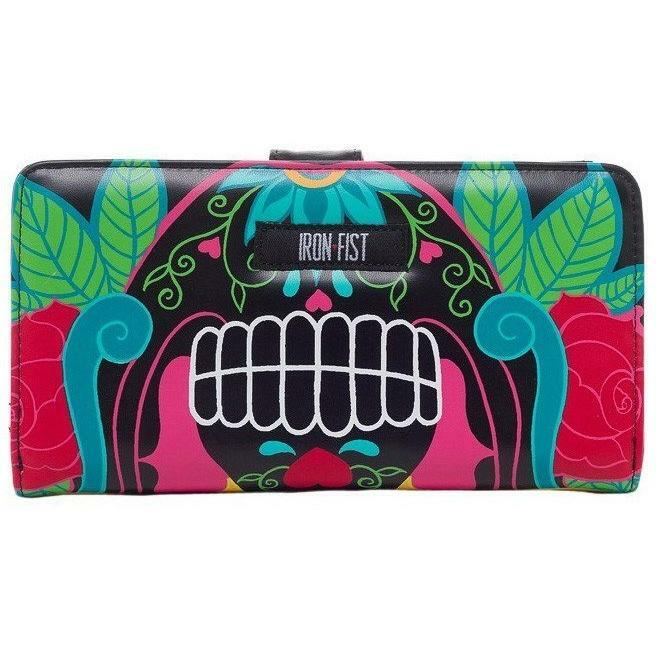 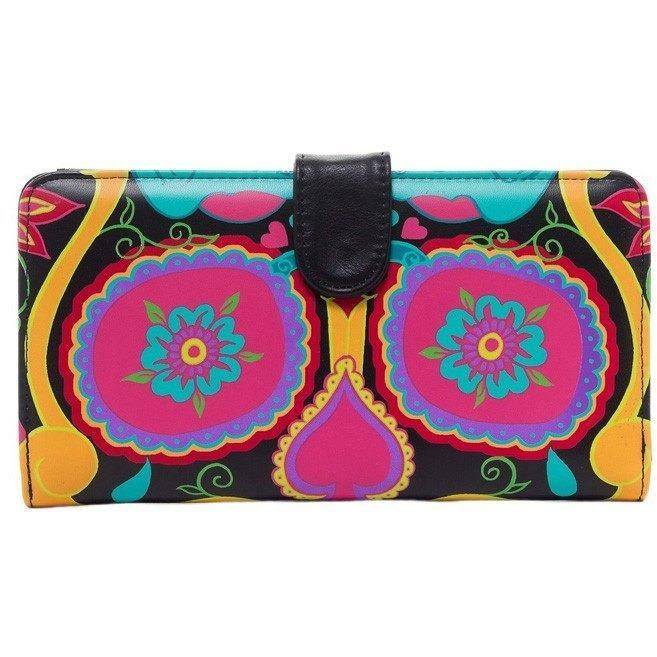 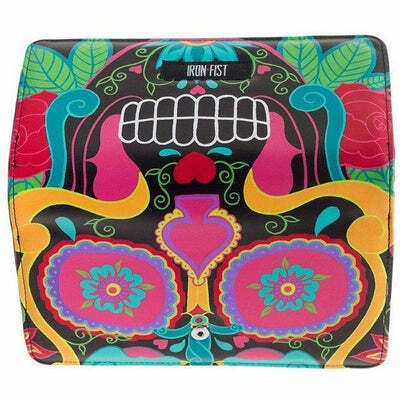 This Wallet has a traditional style multi colored sugar skull printed all over and features a black popper closure and zip up compartments. 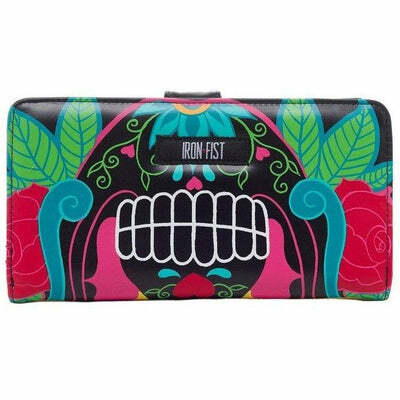 This 100% vegan wallet has tons of room for credit cards, a clear ID slot, zipper coin compartment and tons of places to stash your cash!